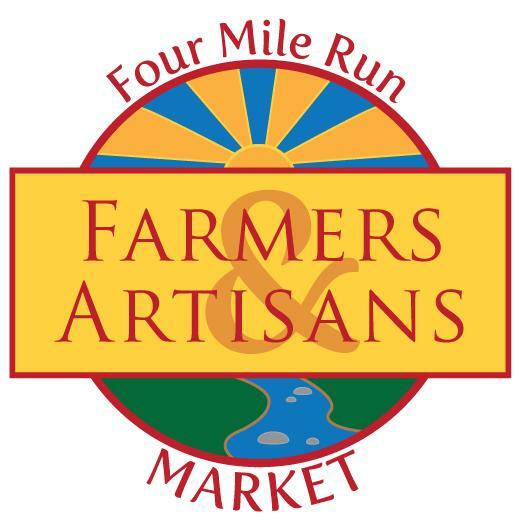 Why are you only considering alternatives just north of the reserved location? 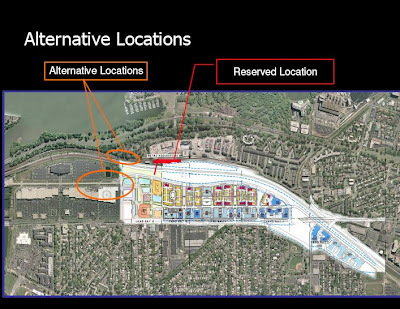 The spot just south of the location looks even better, because it could support development on both the inland and riverfront sides of the track. The problem is there are FAA restrictions on building height for landbays south and east. 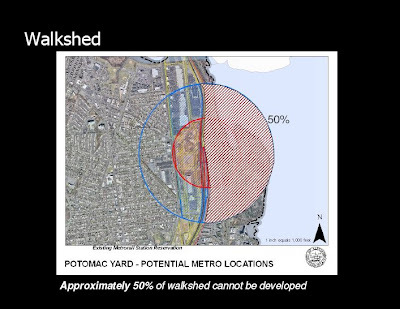 The current Potomac Yard shopping center could be redeveloped at a much greater density and therefore moving the metro north and west maximizes the density that could be served by the new station. Plans for southern landbays in that area are for increasingly shorter buildings and townhouses. It will likely take a lot of developer money to actually get this built, and high density development might be profitable enough for developers to contribute the lion's share. 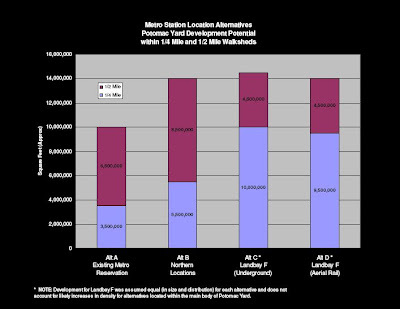 Here's the city's initial analysis on metro alternatives.